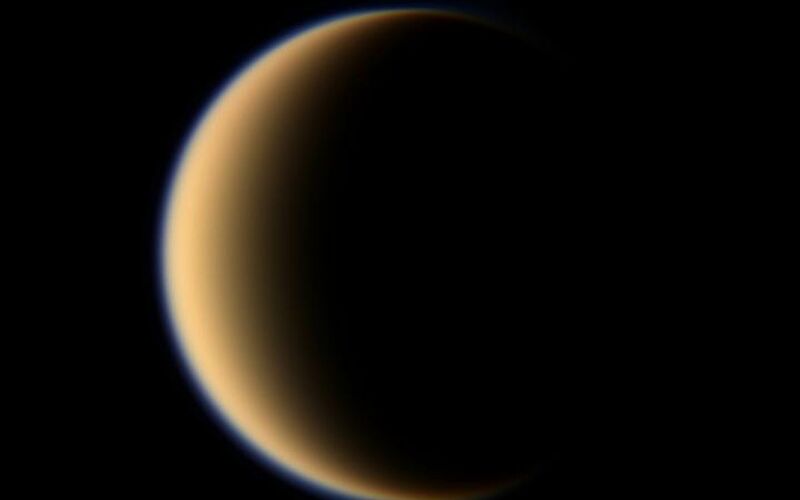 Titan's hazy orange globe hangs before the Cassini spacecraft, partly illuminated -- a world with many mysteries yet to be uncovered. North on Titan (5,150 kilometers, or 3,200 miles across) is up and rotated 30 degrees to the right. The moon's north pole tilts slightly away from the spacecraft here. Images taken using red, green and blue spectral filters were combined to create this natural color view. 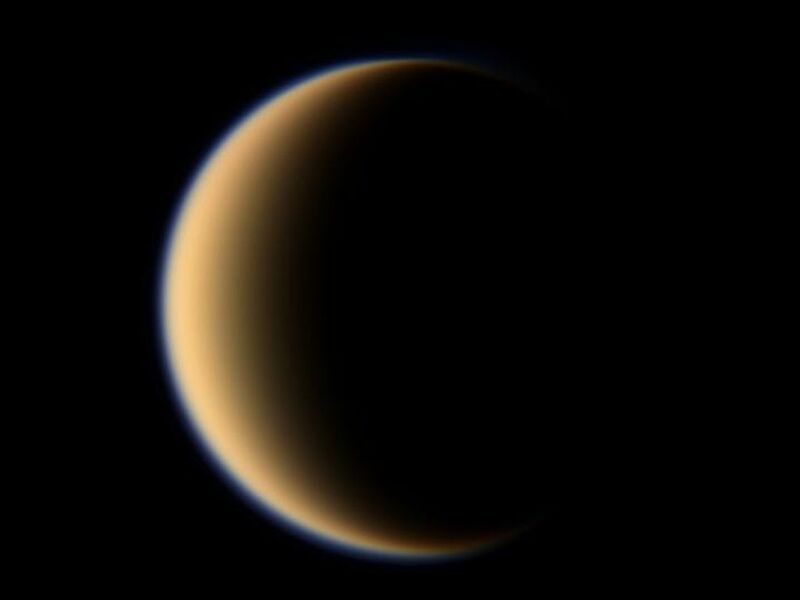 The images were taken with the Cassini spacecraft wide-angle camera on Jan. 5, 2008. 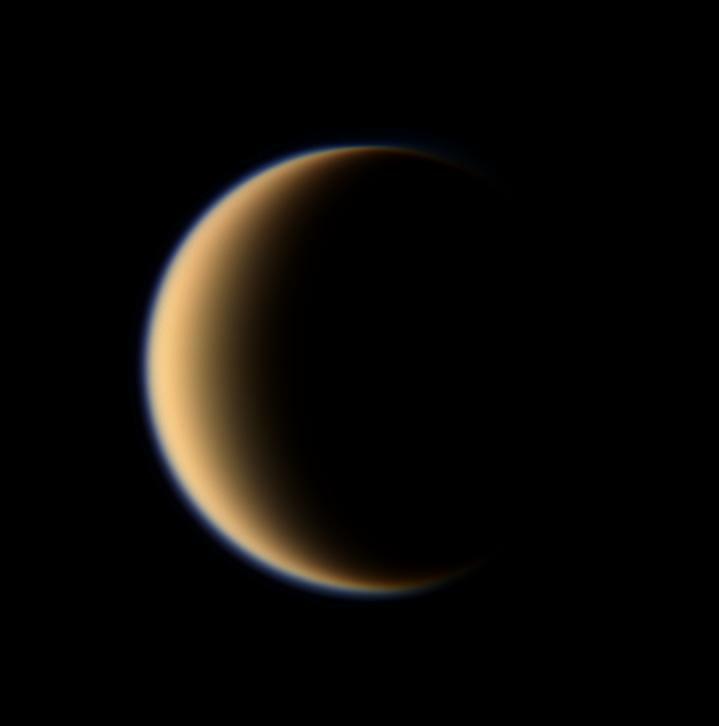 The view was obtained at a distance of approximately 213,000 kilometers (133,000 miles) from Titan and at a Sun-Titan-spacecraft, or phase, angle of 128 degrees. Image scale is 13 kilometers (8 miles) per pixel.